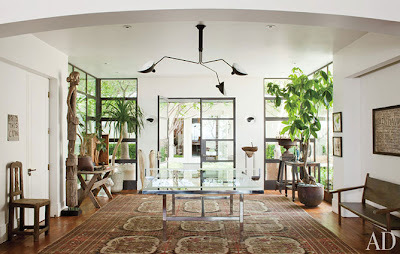 Lush Fab Glam Inspired Lifestyle For The Modern Woman: A Sneak Peek Inside the Beverly Hills Home of Ellen DeGeneres! 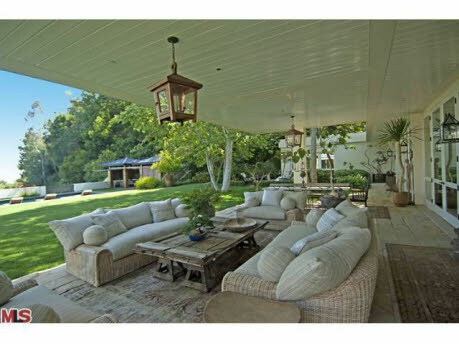 A Sneak Peek Inside the Beverly Hills Home of Ellen DeGeneres! Talk show host Ellen DeGeneres recently opened up the Beverly Hills home she shares with actress Portia de Rossi to Architectural Digest. 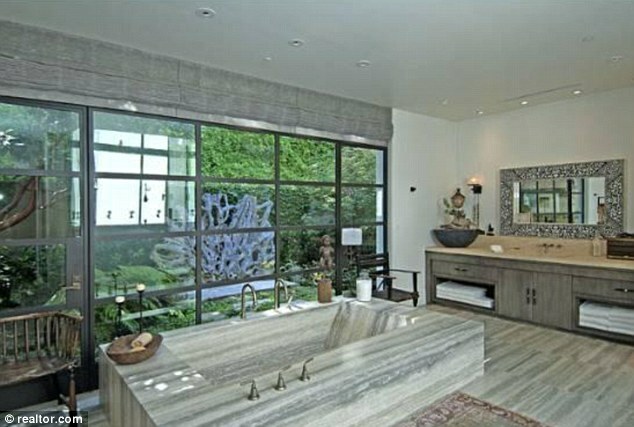 The home 9 bedroom and 11 bathroom home spans across 9,500 square-feet. 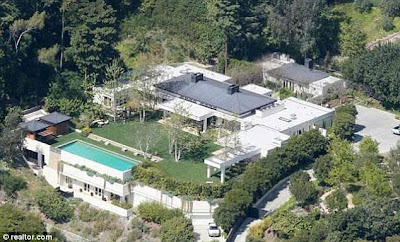 It was 'designed by architects Buff & Hensman and later expanded by decorator Melinda Ritz' is currently on the market for $49 million. 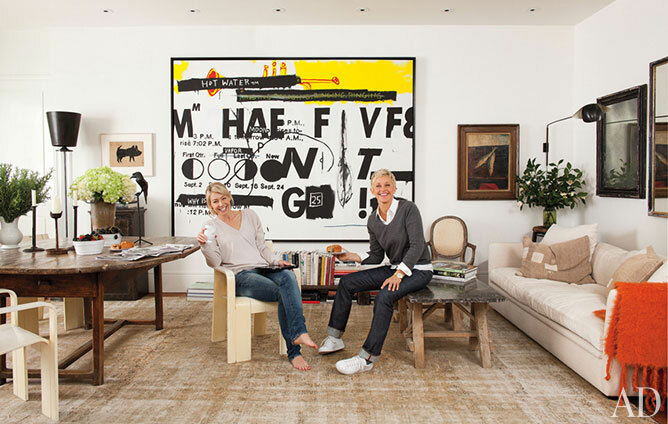 Ellen DeGeneres and Portia de Rossi in the sitting room. A screened porch which features a 19th century trestle table. The couple bought out 2 neighboring properties in order to expand and create this pond. 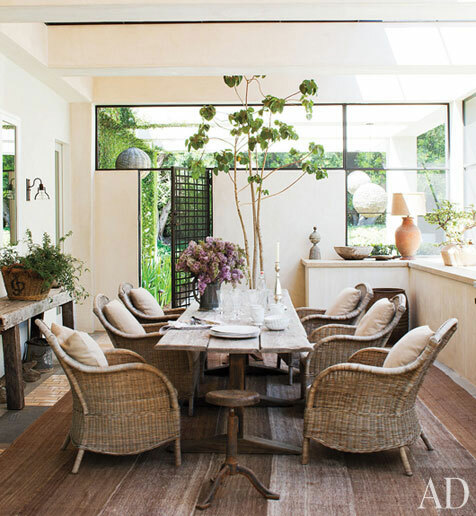 Photos via Architectural Digest and realtor.com. 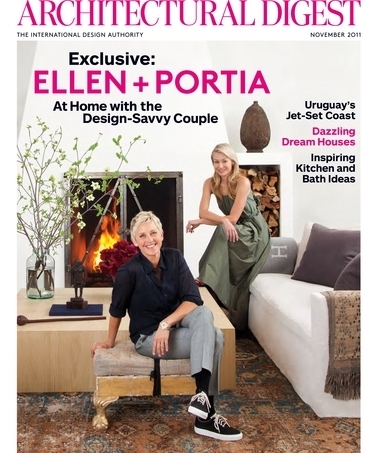 Which design and decor ideas from Ellen and Portia's home would you try? Leave a comment below. They have too much money, 9 bedrooms for 2 people? The home is ok I was expecting more. 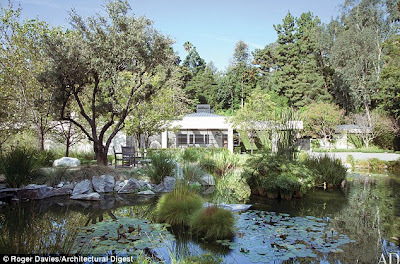 Luv the outdoors, great patio, pool and wish I had enough space to build my own pond too lol.